How many times a day do you check your Google Analytics? If you’re anything like me, then that’s at least twice a day. You get happy at all the traffic you seem to have generated from organic searches or social media. 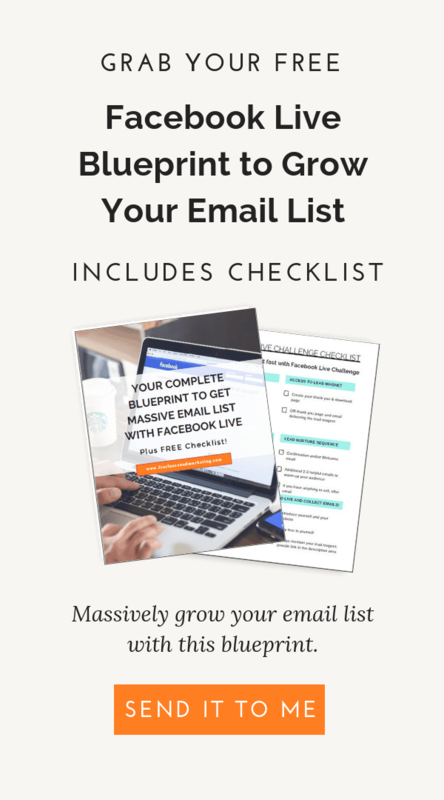 You keep waiting and hoping that soon you can convert your traffic into email subscribers and finally build that mythical email list everyone talks about. Read my post on how to quickly build your list if you’re a new blogger or solopreneur. However, you look at your email list, and it does not match your traffic levels. You should have a far larger email list just based on the traffic your site is getting. 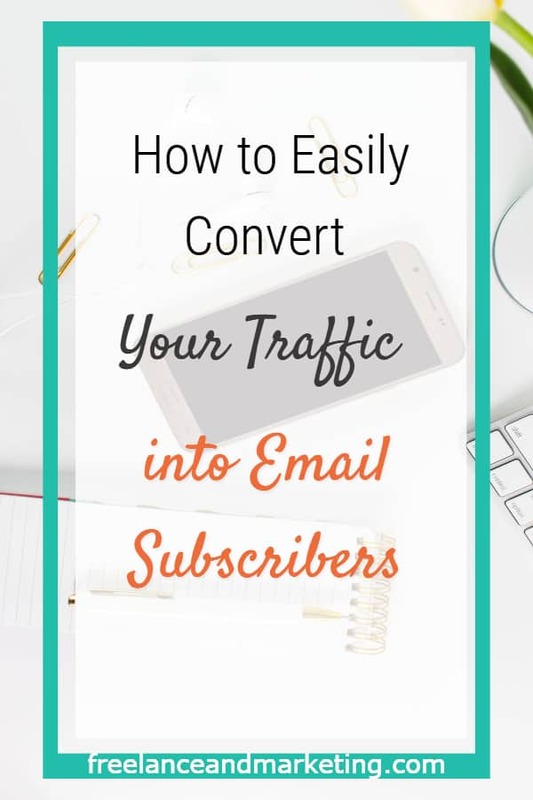 So why isn’t your traffic converting into subscribers for you? The answer to this particular question is complex. Some people wrote entire books on this. But, for the purpose of keeping this post short, and on point, we will discuss the most obvious reason. Your website or blog is not optimized for conversion. Disclosure: This post may contain affiliate links. This means that if you make a purchase through my links, I will get a small commission at no expense to you. To begin with, let’s answer the question of what you should have to catch people and turn them into subscribers? It’s simple, right? You need opt-in forms. Something on your website where a visitor can enter their email address and click “subscribe.” This is generally how it works. Now you can get fancy with your opt-ins. You can have trigger activated optins, or scroll, or exit triggered…Regardless of the type, the goal is still the same at the end of the day. This post is not meant to discuss how to get traffic to your site. We will cover that in a separate post at another time. Ok, so we know that we need optins. Many people have some optins on their site because they offer free resource and lead magnets in exchange for emails. However, even with some optins on your site, you don’t get many conversions. This is because you’re utilizing your website/blog the way you should. You didn’t put thought into your optins and where they are. To convert your website traffic into email subscribers, you need a strategic approach to your optins. You need to think from your reader’s perspective. The key to success is to make opting-in foolproof. You want it to be so easy and simple, that your reader doesn’t look for any optins to sign up to your email list. Buffer blog has a very helpful article, where they outline the importance of strategic placement of optins and taking advantage of all the locations. Let’s cover some of the highest converting locations on your website/blog. Almost all the website themes, whether free or paid, have headers that you can customize now. This means that you have a perfect area to feature your Call to Action (“CTA”). Whether you’re offering a lead magnet or a freebie as most call it, or you just want people to sign up for your newsletter, your header is the perfect place to do it. This feature box is from Amy Porterfield’s website. She is a master online marketer and has many amazing resources. Another really great example is from Neil Patel’s website, where he directs people’s attention to his webinar, where he teaches about SEO, then at the end makes a pitch for selling a service. Also, notice that the CTA button’s color is usually bright in an otherwise neutral theme. This is done intentionally as to draw your attention to that particular button so that you know they want you to click on that button. 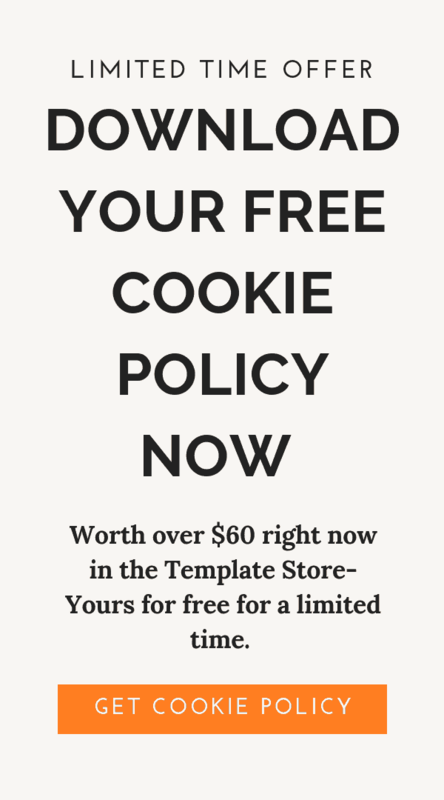 These feature boxes are highly effective at converting your website traffic into email subscribers. Many of the current themes also have the ability to allow you to customize what you place in your navigation bar aside from your logo and menu. With some themes, you can add widgets to the navigation bar, or a button that can either take you to a particular page or open a popup box. This is a useful feature to utilize because your reader can always see your navigation bar. Regardless of what page they’re on, they will always see the navigation bar. This first example is from Derek Halpern’s Social Triggers website. Notice that icon widget at the end of the navigation bar offering Free Updates? Yes, this bar, and therefore that particular widget, is visible from every page. When a visitor clicks on that icon, a popup opens up ready to capture the visitor’s email for the email list. Let’s look at another example. This time let’s look at one that has a button in the navigation bar. Notice how Izea’s website has two buttons in the navigation bar, one for Requesting a Proposal, and one for Signing in (I assume this is a membership portal). However, the thing to notice here is that how your eyes go straight to those buttons and you want to click on them, only if to see what happen when you click. An information bar or a Hello bar as most people call them is another location to enable you to convert your website traffic into email subscribers. The information bar is a narrow bar that can be either on top of your navigation bar, or in your footer section. This bar is also always visible. If you have an announcement to make, or a time-sensitive offer, an information bar is a great way to showcase it. This example is from Louise’s website of Solopreneur Sidekick. Notice how she is using this bar to announce a free trial of her website design course. It’s noticeable, everyone will see it, and plus, she has a tempting offer. Next example is from Hello Bar’s own website. This company created and obviously sells Hello Bars. As you can see, these types of opt-in or lead generations can be high converting as your website or blog visitor will have clear view of it at all times. This is the point of conversion. You want your readers to be able to easily find a place where they can enter their email address and become part of your email list. If your sign up forms and optins are well hidden or nonexistent, then your visitor will not spend valuable time on trying to locate your optin. Many people get a decent amount of traffic to their website or blog. However, those visitors often do not end up being a part of your email list. There are of course multiple reasons for this. However, the simplest reason and the most easily fixable solution is that you did not efficiently utilize your high converting locations on your website. As discussed above, your header, your navigation bar, and your above navigation bar areas are all considered high covnerting. If you include optins and CTAs in those areas, you will see more conversions from this step. You should still use other lead generation forms and locations such as popups, slide in, or an optin in your sidebar. If you enjoyed this, I would very grateful if you shared it.